Stacy Eggers, IV, who goes by the nickname ‘Four’, is a life-long resident of Boone. He is a 1998 graduate from Appalachian State University and a 2001 graduate of the Norman Adrian Wiggins School of Law at Campbell University. As the managing partner of the law firm, Four has a broad background in civil and criminal matters, having tried jury cases for all types of cases. He also has a strong business and contract background, which is strengthened by his litigation work. Four’s practice areas include land condemnation and real estate disputes, as well as civil litigation, business representation, and contractual matters. He also serves as the municipal attorney for the Town of Banner Elk, the Town of Beech Mountain, and the Village of Sugar Mountain. Four has always been interested in working in the law, and while at Appalachian State University served on its Student Conduct Court. He was elected to the Honor Court during all three years of law school, and served as the chairman of that board during his final year. Following graduation from law school, Four joined the family law firm in 2001 and has served as a President of the Watauga County Bar Association, a member and Chairman of the North Carolina Legal Aid Boone Office Local Advisory Committee, the 24th Judicial District Executive Committee, the North Carolina Bar Association Committee on the Administration of Justice, the North Carolina Bar Association Committee on Justice and the Judiciary, and served for eight years as a member of the Watauga County Board of Elections. He was appointed to serve as a member on the North Carolina State Board of Elections and Ethics Enforcement for the 2018 election cycle. 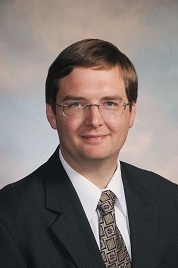 Mr. Eggers is an AV rated (Preeminent) attorney through the Martindale-Hubbell peer rating system. Click here to view Mr. Eggers’ Martindale-Hubbell review. Since 2005, he has been a Certified North Carolina Criminal Justice Instructor through the Criminal Justice Standards Division and has taught continuing education classes to both the Appalachian State University Police Department and the Watauga County Sheriff’s Office. At Appalachian State University, Four is a member of the University Board of Visitors and previously served on the Appalachian Summer Festival Board. He has served in many roles with the Watauga County Republican Party, and is a 2013 nominee to the NC GOP Grass-roots Hall of Fame. Four is married to his high-school sweet-heart and law partner, Kimberly Eggers. They have three sons and are members of Boone United Methodist Church.